America’s long national cable company horror show is far from over. In fact, it just got a lot worse because the Federal Communications Commission has officially approved the Charter-Time Warner Cable merger. As Gizmodo previously reported, the deal will bring together Charter, Time Warner Cable, and Bright House—the fourth-largest, second-largest, and tenth-largest cable companies in America, respectively. If it wasn’t apparent, this is great for the companies, but very, very bad for consumers. While the merger has its fans (like Tom Wheeler, for example), it also has its detractors, including FCC member Ajit Pai, who voted against the merger. 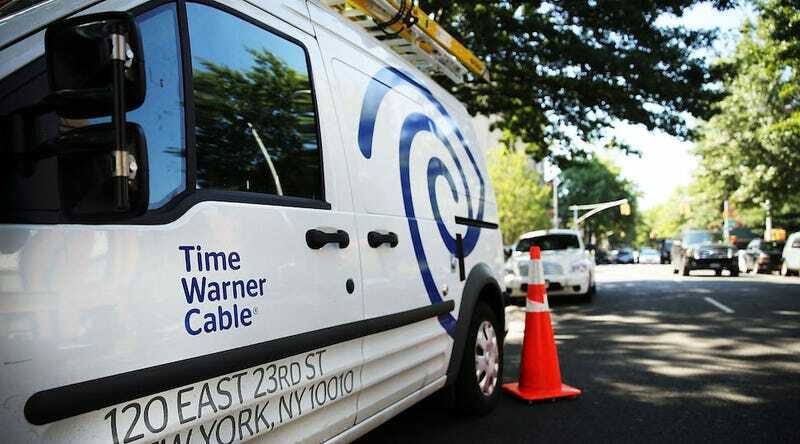 The Charter-Time Warner Cable deal has already been approved by the Department of Justice, but according to Bloomberg, the deal must still receive approval from California, whose Utilities Commission may vote on it as early as May 12th. (It must receive approval in California because it will affect customers there.) Given that an administrative law judge has already given it the thumbs up, however, things look to be leaning in the direction of approval. Letting a cavalcade of cable companies join forces into one enormous three-headed cable monster is never a good idea, but unfortunately, it looks like it’s going to happen.